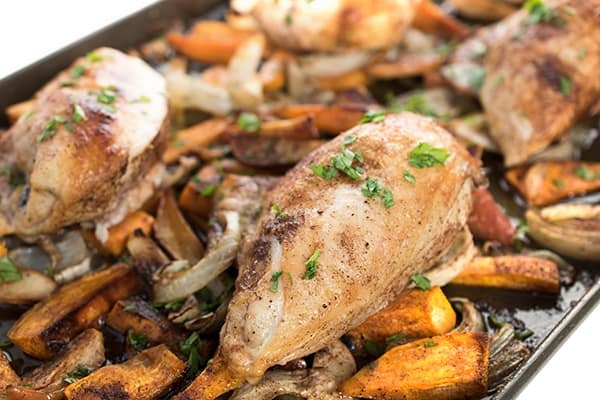 This easy sheet pan chicken dinner recipe is made with apples, sweet potatoes and onions roasted in olive oil and scented with cinnamon. Perfect for feeding a family! 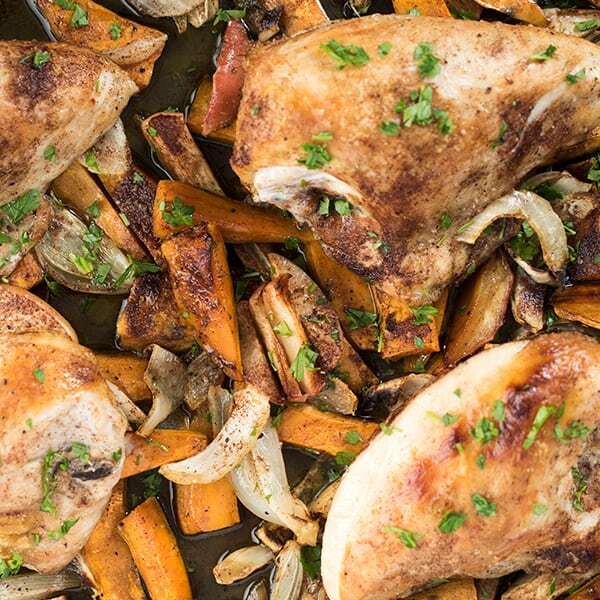 Roasted chicken seasoned with olive oil and cinnamon was on our dinner table at least 1-2 nights growing up. 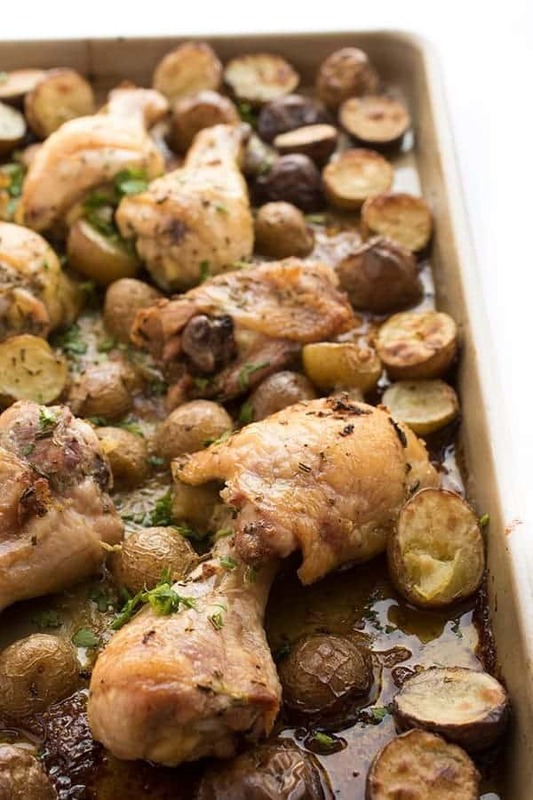 While sheet pan dinners are all the rage these days, I’m here to say that my mom has been making sheet pan dinners for close to 40 years! 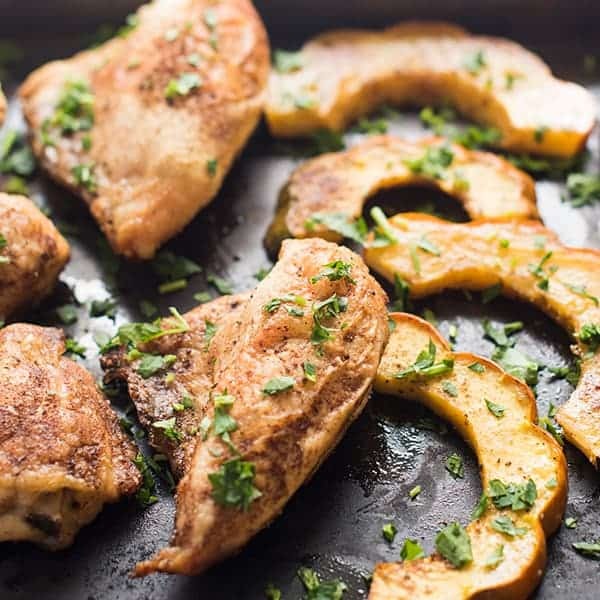 And for good reason: they’re versatile, healthy and require just one pan making for very easy clean-up. Moms always know best, am I right? 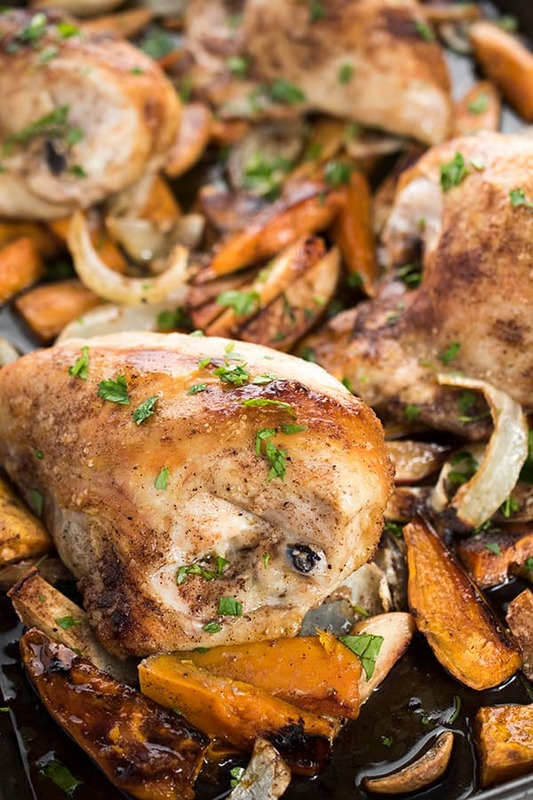 Inspired by the fall season, I like to roast my chicken on top of large cubes of apples, sweet potatoes and onions. To season, I simply drizzle with olive oil then sprinkle with salt, pepper and cinnamon. A little garlic powder or cayenne are nice additions too but they’re optional. 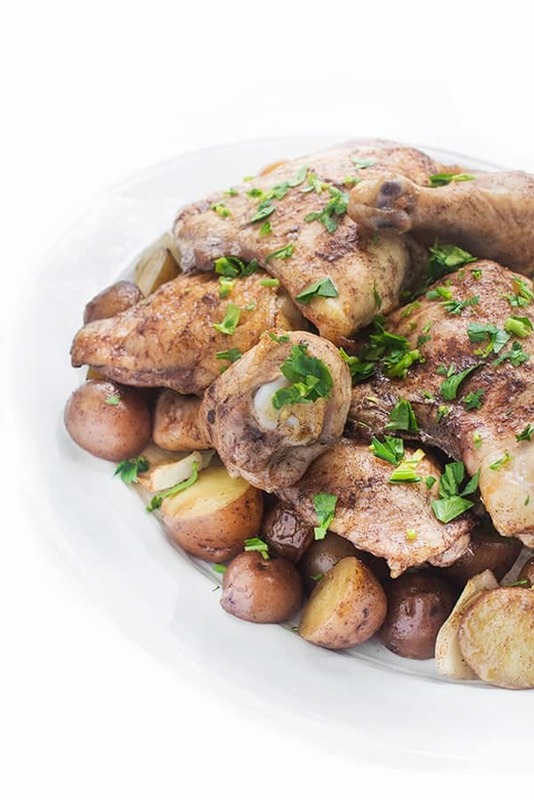 To cook you simply bake until the chicken is cooked through, about 45 minutes to 1 hour, then serve warm. My mom always sprinkled with a little fresh parsley before serving but again, that’s optional. Pre-heat oven to 350 degrees. 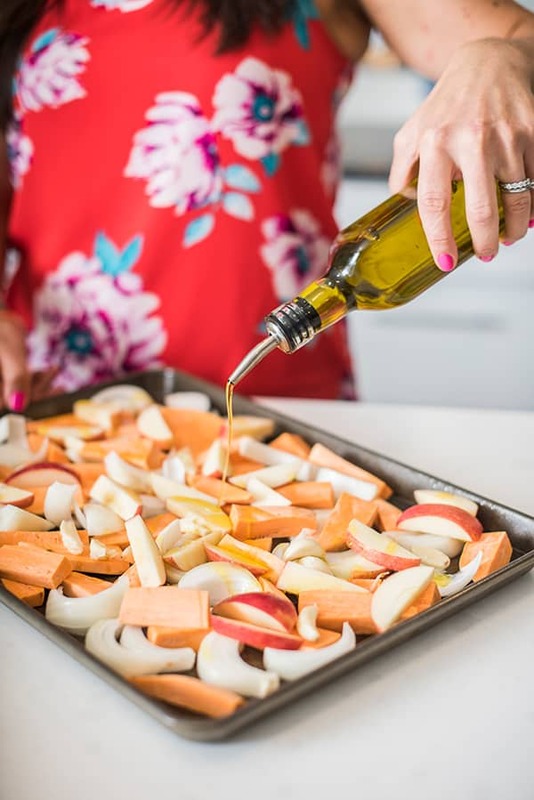 Spray a large baking sheet with cooking spray and scatter the apples, onions and sweet potatoes in a single layer. Drizzle with 2 tablespoons of the olive oil, 1 teaspoon of the salt, 1 teaspoon of the cinnamon and 1/2 teaspoon of the pepper. Mix well with hands. Place chicken breasts on top of the veggies/apple mixture and drizzle with remaining olive oil and sprinkle with remaining spices. Rub evenly to coat chicken on both sides. Bake until chicken is golden and cooked through, about 45-60 minutes depending on thickness of chicken. Serving size is one chicken breast and 1 cup cooked veggies. 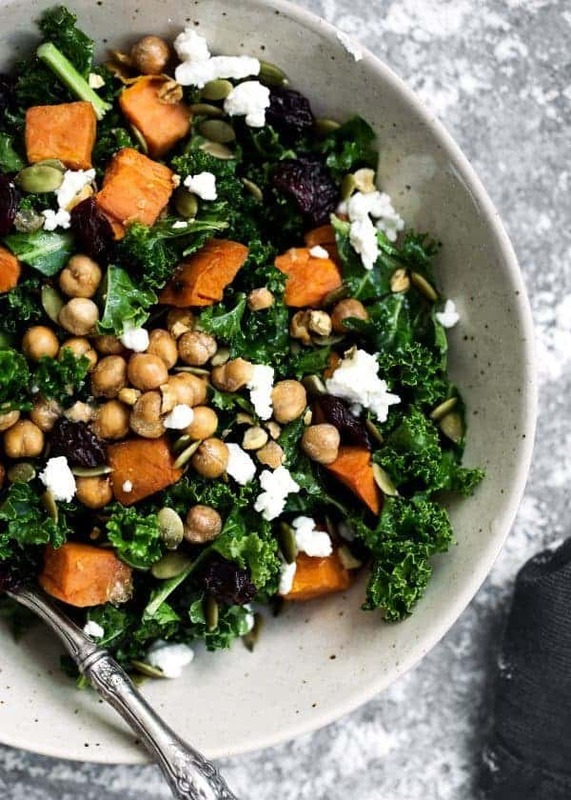 Looking for more easy and delicious dinner ideas? 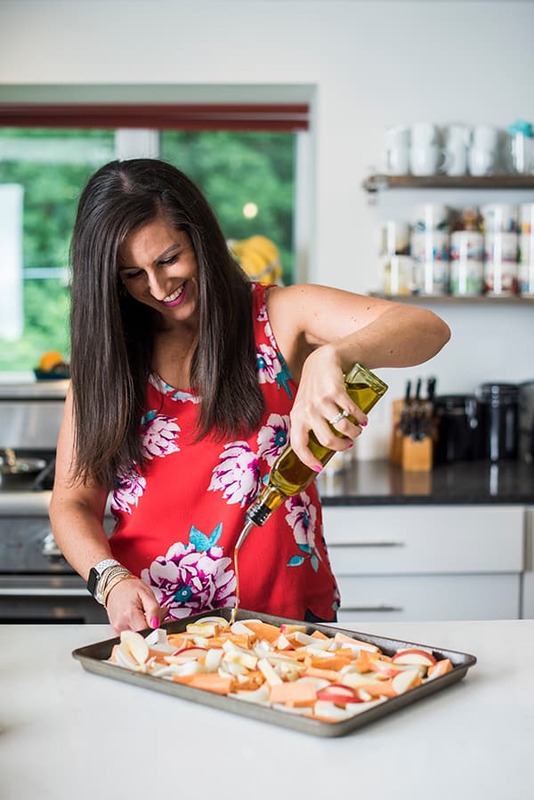 Head over to my Pinterest Board for recipes! 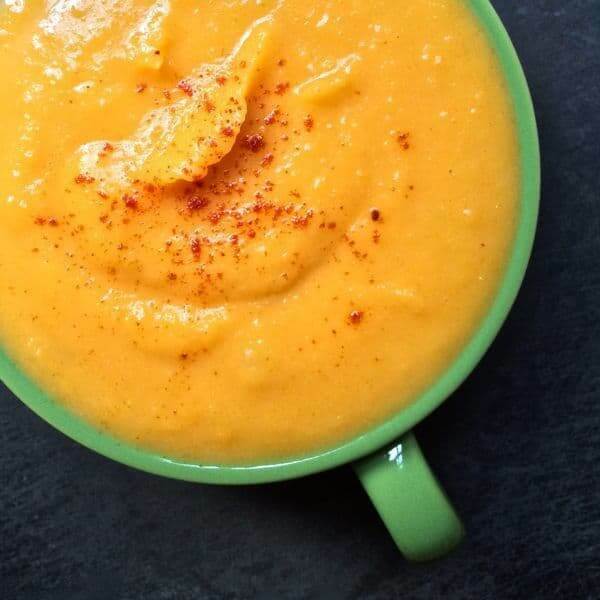 I usually like to stick with regular potatoes but i think this looks much better with sweet potatoes! I have to make this for dinner, thanks!